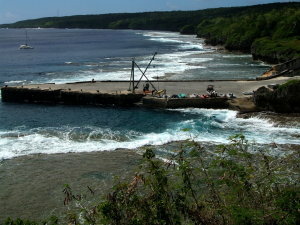 I’ve been hanging out here in the small island nation of Niue for almost a week now. 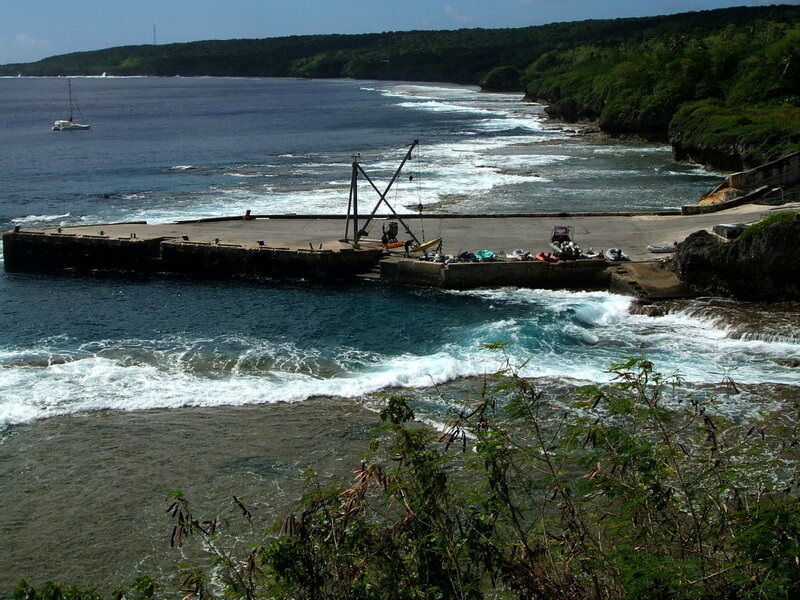 Niue’s a bit different then any of the other islands I’ve visited. For one there’s no coral barrier reef around the island for the first time since the Marquesas. Additionally there aren’t really any bays on the island either. 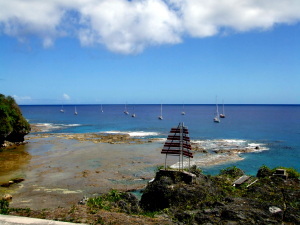 Visiting boats pick up robust mooring off the town of Alofi on the West side of the island which is sheltered from the pre-dominant SE trade winds. The anchorage is deep and wrought with coral and caverns, so anchoring isn’t advised. If the winds do clock around out of the West, then boats must quickly leave or chance being caught in some nasty seas on a lee shore. To make matters even more fun, there are no beaches on the island, the coastline consists of steep cliffs descending to narrow coral shelves. So there’s no where to land a dinghy except at the wharf that had been blasted out through the coral. Oh yeah, and to pull your dink out at the wharf, you have to hook it up to the crane they use to offload cargo and hoist it up onto the dock so it doesn’t get smashed up by the substantial surge. It’s actually not as difficult as it might sound, but it does make for some entertaining times. 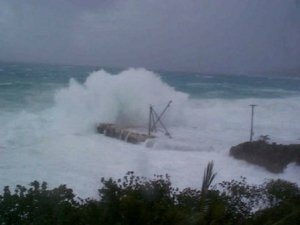 So why visit the island if no beaches, difficult dinghy landings, no anchoring and no protection from the wind and seas? 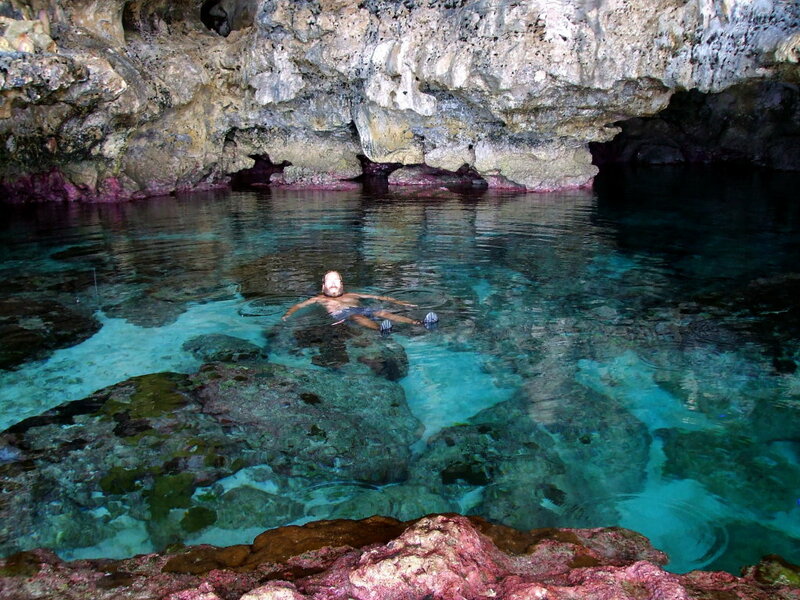 For one, Niue has no rivers or streams. 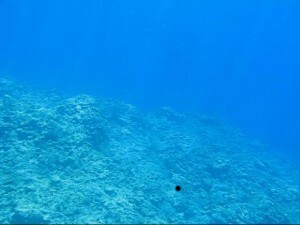 All the rainwater seeps through to coral and limestone rock of the island and into the sea without picking up any sediment, resulting in fantastic water clarity with visibility reaching up to 230 feet. Humpback whales come here to calve. They’ve been swimming through the anchorage most evenings. One of the boats that was here a month ago actually had one of the mothers give birth right next to their boat over night and were able to snorkel with the newborn calf in the morning. There are also sea snakes, spinner dolphins and all the other marine life I’ve been seeing, but with better visibility. 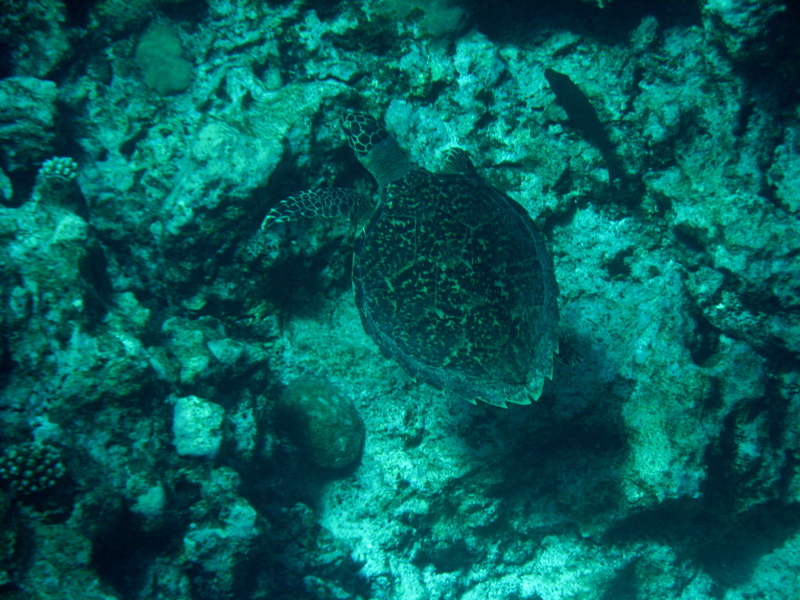 On top of the marine life, there are caves! Lot’s and lots of caves. 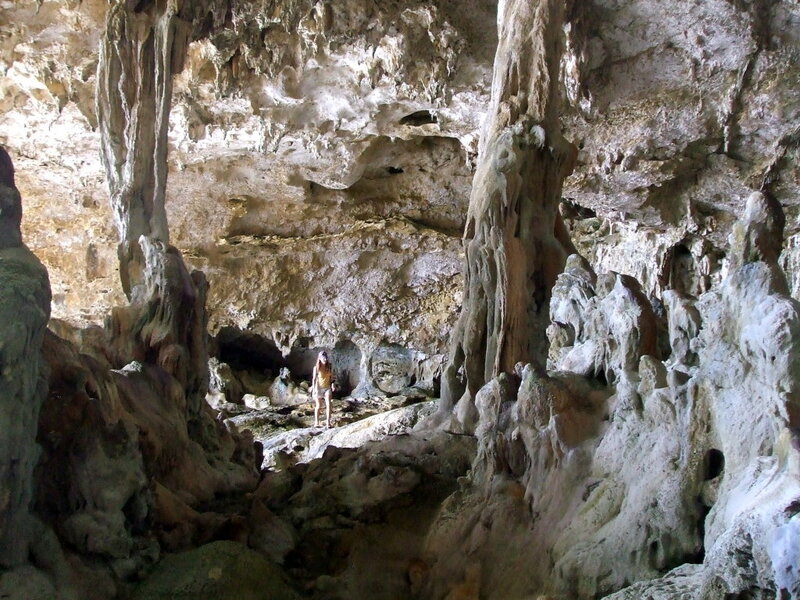 Big caves, little caves, underwater caves, chasms every formation you can think of made up of limestone and coral. Bonne and Greg rented bikes and we spent a couple of days touring the island exploring caves and swimming in some spectacular pools. 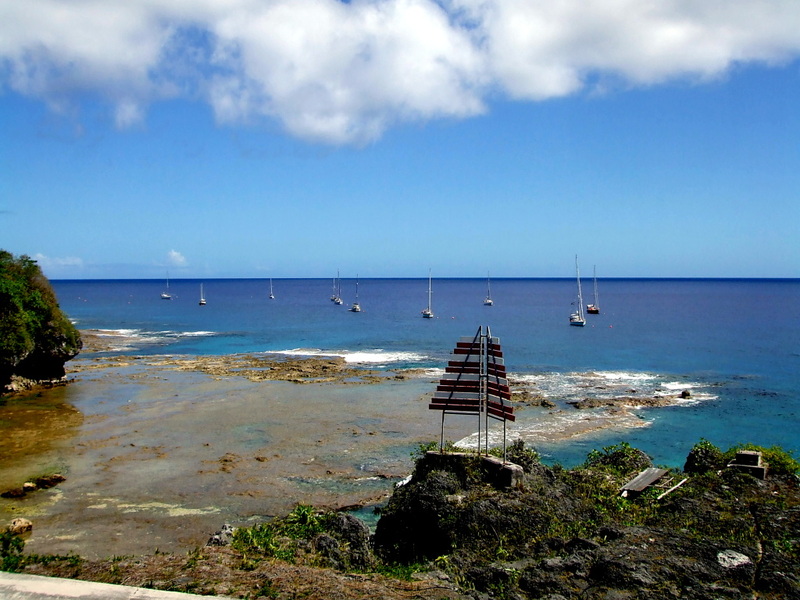 The Niue Yacht Club takes care of the moorings, provides internet, showers and laundry facilities and makes a damn fine cheese burger. It’s not quite a yacht club like back home. Mainly it’s some chairs out on a lawn, and some picnic tables under an awning, but they server ice cream, liquor, beer and burgers. Really what more could you ask for? Their Thursday night sausage BBQ is not to be missed. From here it’s off to Tonga. It’s something like 280 miles, so it should take 2 nights out to get there. I’ll probably be leaving in the next couple of days, but who knows? This entry was posted on Wednesday, August 20th, 2008 at 6:03 pm and is filed under Nuie 2008. You can follow any responses to this entry through the RSS 2.0 feed. You can skip to the end and leave a response. Pinging is currently not allowed. hi fantastic pictures,keep up the good work. OMG awesome fotos i think my report is going to rock!!!!!!!!!!!!! !